Pentair, with its global brands Goyen and Mecair, is the market leader in reliable dust collector components. 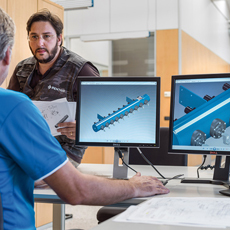 We develop and produce all constituent parts to the highest quality and safety standards, from pulse jet valves and pulse cleaning controllers to certified and custom-engineered header tank solutions, with or without full immersion valves. Since 1935, we have provided engineering expertise and partnerships to several of the world’s leading dust collector manufacturers. Our diaphragm valves simply deliver the most powerful air pulses. These valves are specifically designed for baghouses in which reverse pulse jet systems, frequently clean the filters, including all bag filters, cartridge filters, envelope filters, ceramic filters, and sintered metal fiber filters. 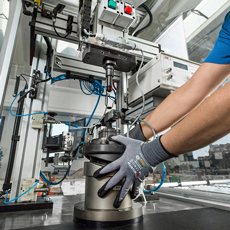 We have created the most efficient filter cleaning controls available today, from simple four-valve timers all the way to networked systems that operate a thousand reverse pulse jet valves at -40°. We offer practical and effective solutions for applications ranging from silo venting to massive gas turbine intake filter systems. A broad range of third party certifications underpins our product range. Let us help you maximize the life of filter media and minimize the cost of achieving the best possible cleaning cycle. 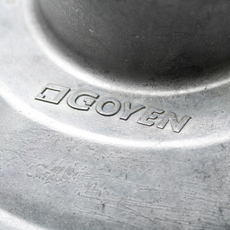 Well over eighty years ago, the Goyen brand name was launched with the Goyen Controls Company, an innovative Australian-based industrial valves manufacturer. The valve business and the company grew steadily and Goyen became the global market leader in particulate filtration cleaning systems. 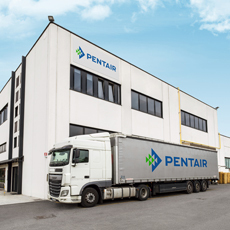 Our engineers, product developers and manufacturing plants use the latest insights and cutting edge technology to remain at the forefront of today’s possibilities and markets, and always meet Pentair’s high quality standards. Our partners can benefit from Pentair’s expertise in many different ways. You can educate yourself and your technical staff by joining our live Academy Training sessions and online webinars. You can count on practical sales support and access to the online Partner Portal for the most detailed information about products and services.